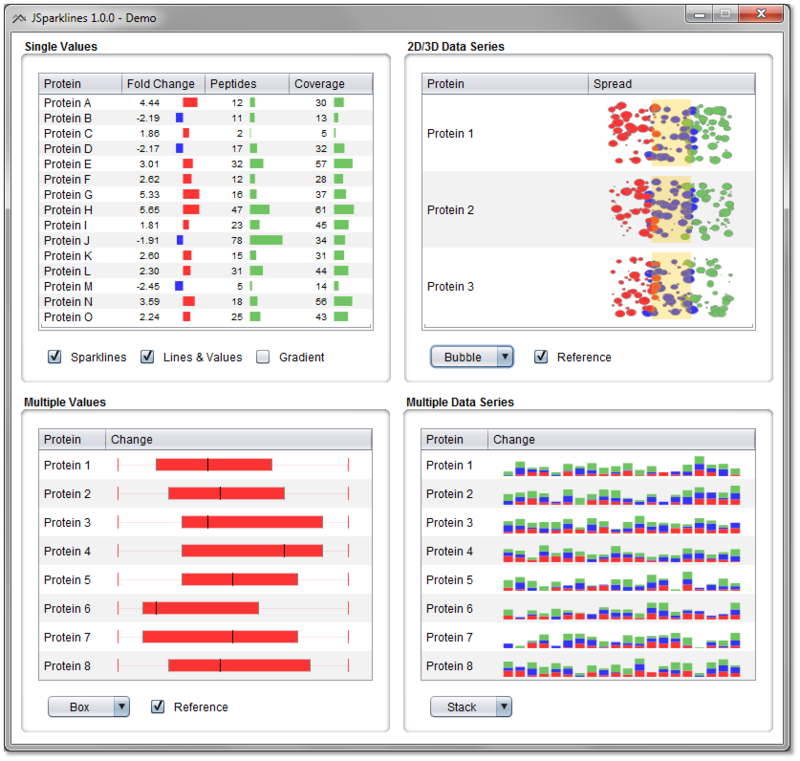 Supports more than 30 types of charts/renderers, including bar chart, line charts, stacked bar charts, bar charts with error bars, pie charts, scatter plots, interval charts, area charts, heat maps and box plots. If you like JSparklines you may also want to check out JSparklines Factory. Barsnes et al: Proteomics. 2014. (doi: 10.1002/pmic.201400356). If you use JSparklines as part of a publication, please include this reference. See the How to use JSparklines wiki page for code examples. JSparklines is also available as a Maven dependency. If you have questions or would like to contribute to the JSparklines project, please contact the developers. PeptideShaker interpretation of proteomics identification results Vaudel et al: Nature Biotechnol. 2015 Jan;33(1):22-24.
thermo-msf-parser parser and viewer for thermo msf files Colaert et al: J Proteome Res. 2011;10(8):3840-3. Fragmentation Analyzer analyzing MS/MS fragmentation data Barsnes et al: Proteomics 2010;10(5):1087-90. 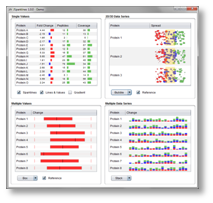 MetaProteomeAnalyzer analyzing meta-proteomics data Muth et al: J Proteome Res. 2015 Mar 6;14(3):1557-65.
proteocloud proteomics cloud computing pipeline Muth et al: J Proteomics. 2013 Jan 8. pii: S1874-3919(13)00013-4. Are you using JSparklines and would like your project listed here? Contact the developers of JSparklines.